Manufacturer BOSS CPS DUAL KICKER Rock'in Radios Warehouse Hobbies Inc.
We have and will continue to add our products in the days and weeks to come. 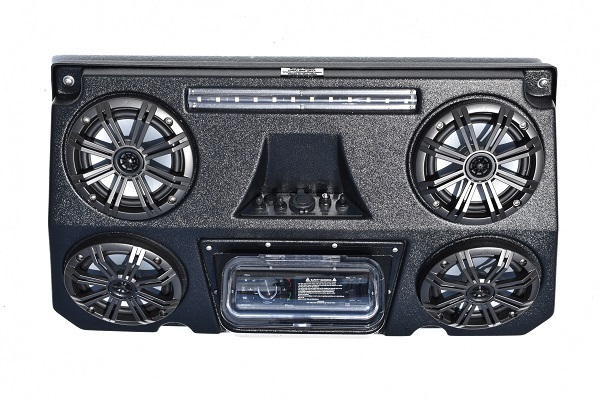 This new design makes it very easy to find the right Stereo System for your Side-By-Side and or Golf Cart by simply clicking on the vehicles brand on the left hand side of this page. You will be directed to a page that will give you the options of the vehicles make under that brand. "Click" on your make and or model and you will be directed to a full line of Stereo Systems and products relative to your vehicle. If you have any issues trying to find or ordering from this site please contact us, Monday - Friday 10:00-5:30 Est. (863) 699-1812. If after company hours or on the weekends go to our Company facebook page, Rockin radios where you can learn more about our company, talk to other customers, or leave us a message for us to contact you. Rock'in Radios are Proudly Manufactured in the USA!